As stated by others: The "Site feed" feature needs to be activated on the site where you are trying to add the Newsfeed webpart. But there is one very important gotcha: The "Site feed" feature also needs to be activated on the site collection root site if you are working on a sub-site. I found this out by accident a while ago, went back and checked it now on SP 2013 SP1, and the issue has not been fixed. You still have to activate the feature on the root site. Just a clarification - This is NOT an issue but just the way SP is designed. Essentially allowing for more granular control across your site. Features need to be enabled top down (Application all the way to the subsite level) Only then the feature is available. Still needs to be turned on - does NOT get turned on by default on all sites (understandably as you would not want features turning on by default across the few hundred sites/subsites you may have). Just download the sitefeed webpart: site settings\ under web designer galleries go to web parts. if you do not see this go to top level site collection and go to web parts\ look to see if you can find site feed web part, if you do download it to desktop, go to site you want site feed webpart, edit the page, click on the zone where you want to add a webpart, insert a webpart, under categories upload a web part and browse and upload, you can add now. if you do not see the site feed web part in the gallery click files, new document, new, now you can check the box for site feed web part to add site feed webpart to the gallery and you can do rest by following above instructions. Go to Insert, under categories scroll to Social Collaboration, under Parts click Newsfeed and add. Not the answer you're looking for? Browse other questions tagged web-part 2013 newsfeed or ask your own question. 2013 - How come I do not see the suite links on my site? How do I make an app part I developed available in About Me or Newsfeed? 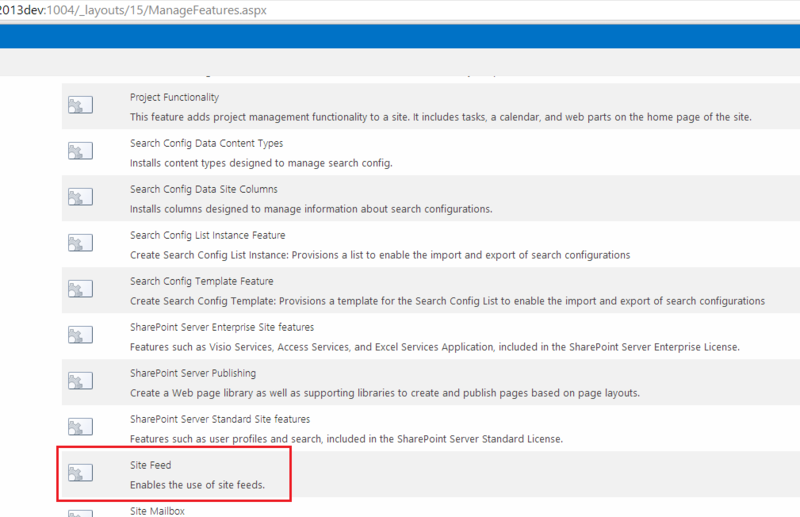 Can I create multiple unique instances of the Newsfeed web part in Sharepoint 2013? Joining subsite newsfeeds into master feed?